This is a size S collar made in black leather with Swarovski stones and lined with black leather. 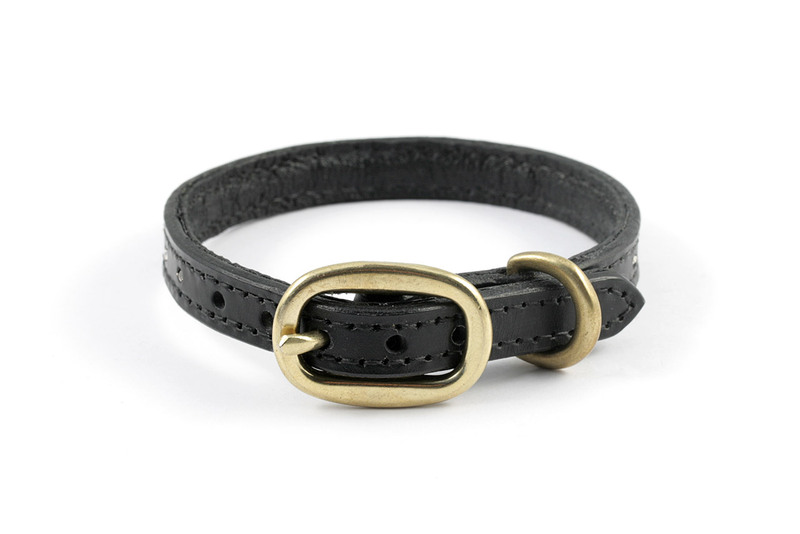 It mounts a solid brass 1/2" oval buckle. 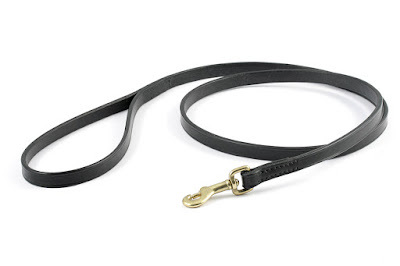 This is its matching leash, 130 cm long and 1/2" wide, with solid brass hook snap.